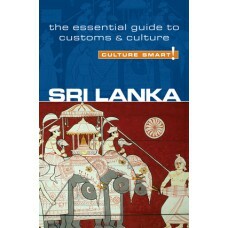 Sri Lanka is a country of great contrasts and diversity, where the people are genuinely friendly, welcoming, and warm. Inequalities exist between the wealthy Westernised elite and the rural villagers, and there are discrepancies among the four major religions and the two main ethnic groups; what is shared, however, by all Sri Lankans is respect for family, home, and friendship, and pride in their beautiful island. They have shown great resilience in the face of the recent tsunami and the civil war. Trust takes some time to earn, and although tempers may flare, they are easily and quickly calmed. Sri Lankans are characteristically indirect, but this comes not from avoidance or discourtesy, but from a wish not to disappoint, cause embarrassment, or lose face. Politeness, respect, a genuine attempt to understand their culture, and acceptance of the island’s relaxed pace, are the keys to gaining acceptance in turn by Sri Lankans and to having an enjoyable visit. Culture Smart! Sri Lanka outlines the country’s diverse and complex history, and unearths the forces that have shaped its sensibility and development over the years. It considers the multiethnic character of the country, and by touching on every aspect of life explains how this has formed the values and attitudes of the people. Offering an insight into how Sri Lankans interact with each other, both at home and in the workplace, and relating what they like to do and where they like to go, this book will enrich your visit to the island. Whether you come for business or for pleasure, you are sure to have a meaningful and memorable stay.